From the Latin word for “cheese,” the main protein in cow milk and cheese. 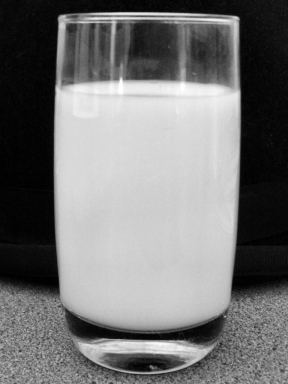 The sugar found in milk. Winter 2006 Magazine: Did You Say, "Pass the Milk?" There has been an old myth going around for many years that cow’s milk builds strong bones. Is this truth or fiction? Some years ago a scientific study, funded by the National Dairy Council, was performed on post-menopausal women to confirm the Council’s belief that cow’s milk builds strong bones. This study was printed in the American Journal of Clinical Nutrition (41:254, 1985). The results were very surprising to the Dairy Council because the study proved that when skim milk was added to the diet of these selected women, they lost more calcium than they could absorb, even when they consumed 1500 mg of calcium every day! This scientific study convincingly showed that cow’s milk weakens bones and needless to say, the National Dairy Council never commissioned another such study! But, we have always been taught that we should drink our milk to make strong bones. How then, can it actually weaken them? Cow’s milk products like skim milk and hard cheeses are a very concentrated source of animal protein. Scientific researchers like Dr. Colin Campbell have completed extensive studies proving that excess protein does not go to your muscles. It goes to your liver and kidneys and then down the toilet with your urine. This causes a bigger problem in that this “protein disposal” also leaches calcium from your bloodstream, thereby sending your calcium down the toilet too! Your body subsequently goes into calcium debt and your gut physically cannot absorb enough calcium to replace it. The result is osteoporosis. The more low-fat milk you drink to prevent it, the worse it’s going to get, no matter how many supplements you take. Osteoporosis literally means “porous bone” and is the condition where sturdy bones gradually become thin and fragile, their interiors soft and spongy. Epidemiologists are finding that countries with the largest consumption of dairy products and protein have the highest rates of osteoporosis-related hip fractures. Countries with the lowest consumption have the lowest rates. It’s very interesting that the human being is the only mammal that continues to drink milk after it is weaned, which is probably why 70% of the world population is lactose intolerant. Dr. Colin Campbell, who wrote the famous book The China Study, studied the effects of high protein diets and the development of cancerous tumors. His in-depth laboratory research was handsomely funded for 27 years mostly by the National Institutes of Health, the American Cancer Society and the American Institute for Cancer Research. Conclusive evidence showed that cancer development is modified by relatively modest changes in protein consumption, thus, the higher the protein the greater the tumor growth. Dr. Campbell also showed that not all proteins are alike—plant proteins do not have the same effect on cancer promotion as casein, which makes up 87% of cow’s milk protein. Casein is a milk and cheese protein used in foods and in manufacturing plastics and adhesives. His research further concluded that casein dramatically promotes liver and breast cancer. When someone passes the milk, it would indeed be best to pass it by! There are healthier milk alternatives such as soy milks, rice milks, and almond milks readily available in most grocery stores. Enjoy the healthy benefits of plant based products versus animal based products and avoid osteoporosis–a disease of affluence and excess, not calcium deficiency. As you do this, you will also avoid many of the other western diseases. Let the diet reform be progressive. Let the people be taught how to prepare food without the use of milk or butter. Tell them that the time will soon come when there will be no safety in using eggs, milk, cream or butter, because disease in animals is increasing in proportion to the increase of wickedness among men. The time is near when, because of the iniquity of the fallen race, the whole animal creation will groan under the diseases that curse our earth (Testimonies to the Church volume 7, 135).